I'd be interested to learn what various ways people have mounted their Dexter board inside their DL / SA cabinet. Anyone got any pictures they could share of their permanent mounting method and position? I haven't heard about, or seen any pictures from, anyone who has permanently mounted a Dexter. Since most people's games are not being moved around, I think that most collectors are wisely not drilling new holes into their cabinets, and might be why no one has replied with pics. My strategy for a permanent mount would be to add the step of installing a new piece of wood onto the existing LDP mounts and attach Dexter to that. This gives LDP drawer access to the USB. Dexter doesn't need to be near the PCB. Drilling holes into the cabinet = bad. Hehe - I stumbled on this picture. Look at how the video cable is sticking straight out of the Dexter, into where the back door needs to be. I have to say this looks like the wrong place to mount Dexter. Just leave it in the bottom. Don't drill your games full of holes! Here are some pictures of my approach at mounting Dexter. 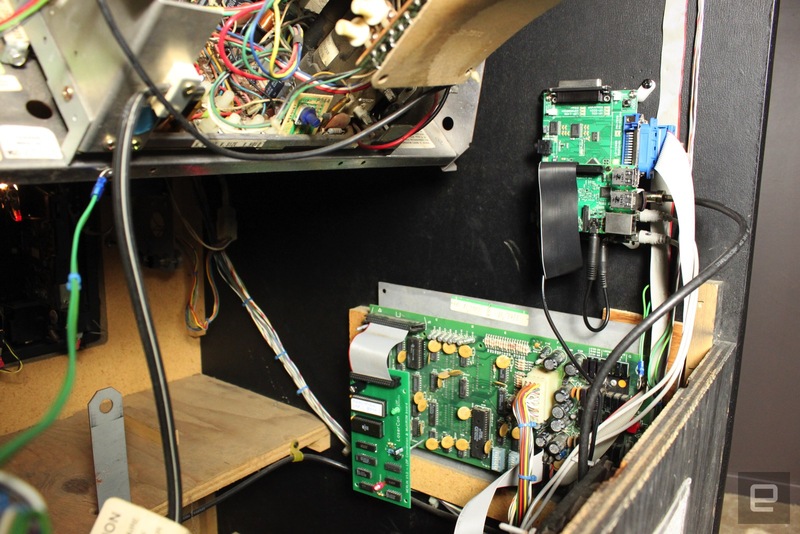 Plus there is an extra pic of how I mounted the Space Ace Annunciator board. The only hole drilled was in the corner of the annunicator board to align with the board on the main PCB. Dexter is secured on three corners. The 4th corner simply rests on the main PCB where U7 used to sit.